I have learned interesting things in London, the European centre of branding and creative hub of the world. During my internship at Barnaby Benson Copywriting, one of my tasks was to do some research on the German market. While working on potential new business partners in Germany, interesting inconsistencies made themselves clear to me. But this is where inter-cultural misunderstandings and overlooked differences come into play. What works in Germany, might not necessarily work in the UK – or any other country, for that matter. Everyone knows you have to adapt your communication materials to the target market of the country you’re aiming at. Even if this means rethinking your branding and redrafting your text. It takes time and effort – but surely it’s worth it? Are translation agencies really best placed to perform this brand language rethink? From what I’ve seen, they don’t seem to see it as part of their job. In fact, Audi’s global marketing team have been very sophisticated in their use of language to capture international markets. They knew why people buy their cars – because they are German and Germany is famous for great technology. Keeping the slogan in German says two things to a non-German speaker: German (it is a German phrase after all) and technology (the word is similar enough). 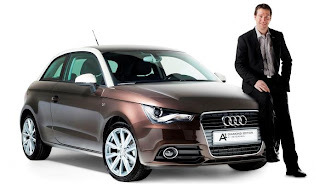 These are the two main advantages Audi has to offer and the reasons for people to decide on a purchase. A translation, an English version, was not necessary as the German phrase said it all – and better than English ever could. On top of that, the German phrase implies a certain intelligence in the customer. It is a compliment to the emotions of the buyer: an Audi driver is intelligent enough to understand the brand keeping the strapline in German. Driving an Audi proves you’re intelligent. So the use of a German phrase provides this emotional benefit too! The question is…would a translation agency have recommended Audi keep the line German? Interestingly enough, in the United States a different slogan is used – an English slogan: ‘Truth in Engineering’. This, again, is proof of Audi’s sensitive use of language to adapt to national cultural differences. Americans are far less tolerant of ambiguity than the English or the French. Thus, an explicit, English slogan was needed. Again, the slogan was adapted to the target market. This is branding. And it has huge implications for the way German companies write their international websites. Look how intelligent I am. Thank you, Barnaby Benson, for making me see one of many differences in the advertising industry of Germany and the UK. I will keep them in mind. But will most German clients? If they want to be as successful as Audi abroad, I think they should.